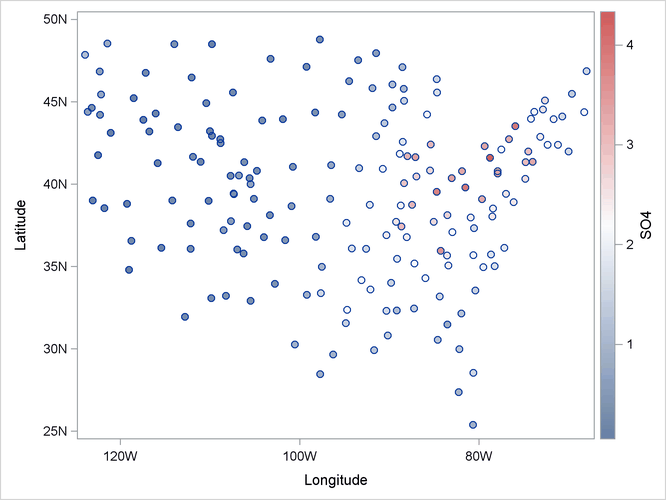 As longitudes decrease from west to east in the western hemisphere, the roles of east and west get interchanged if you use these longitudes on the horizontal axis of a plot. You can address this by using negative values to represent longitudes in the western hemisphere. The following statements change the sign of longitude in the SO4 data set and define a format to display these negative values with a suffix of "W". Output 71.2.1 shows that the largest concentrations of sulfate deposits occur in the northeastern United States. 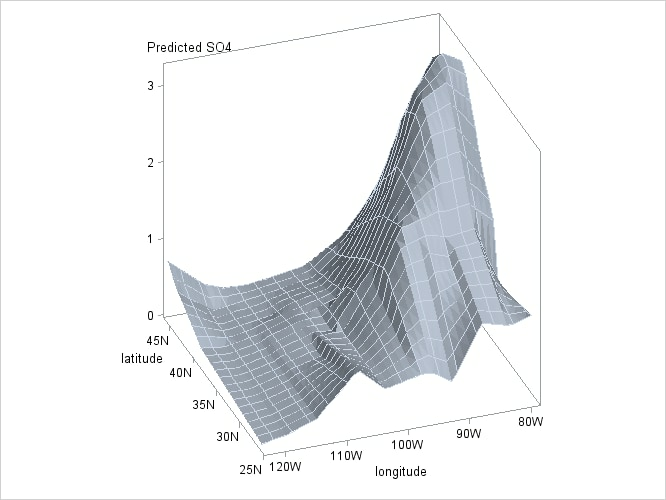 Output 71.2.2 shows a contour plot of the fitted loess surface overlaid with a scatter plot of the data. 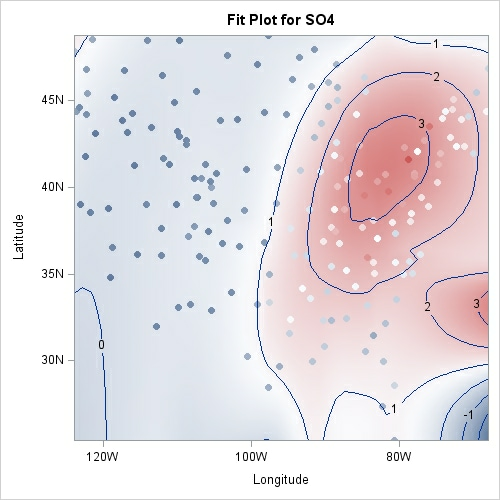 The data are colored by the observed sulfate concentrations, using the same color gradient as the gradient-filled contour plot of the fitted surface. Note that for observations where the residual is small, the observations blend in with the contour plot. The greater the size of the residual, the greater the contrast between the observation color and the surface color.